Instagram is currently said to be testing a variety of new features that’ll eventually make its way to the masses. We’ve been awaiting some of these features for a really long time, but an unexpected yet welcome functionality is now rolling out on the platform. 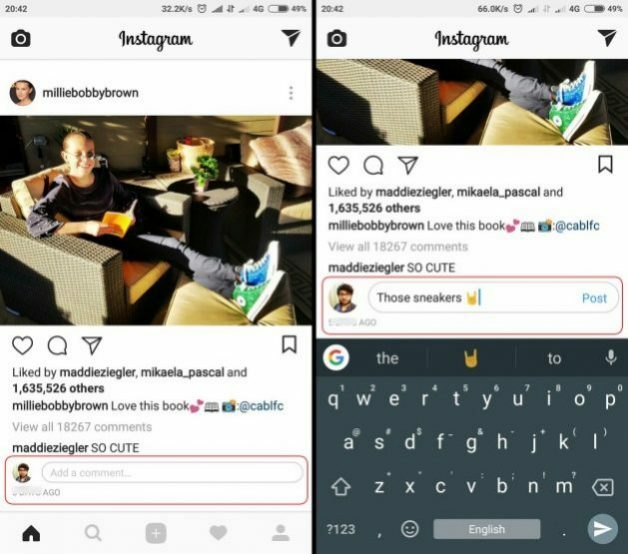 Instagram has added an ‘inline comment’ box to the feed, making it easier for you to reply to any of the posts in a jiffy. Instagram has implemented the inline comments in a really simple and direct manner. I have observed that the comment boxes are not present under any post when you’re just scrolling through the feed. However, the inline comment boxes make an appearance when you’ve stopped to take a closer look at any post (admire the photo or read the description). The waiting period is usually 5-7 seconds, as per my count. 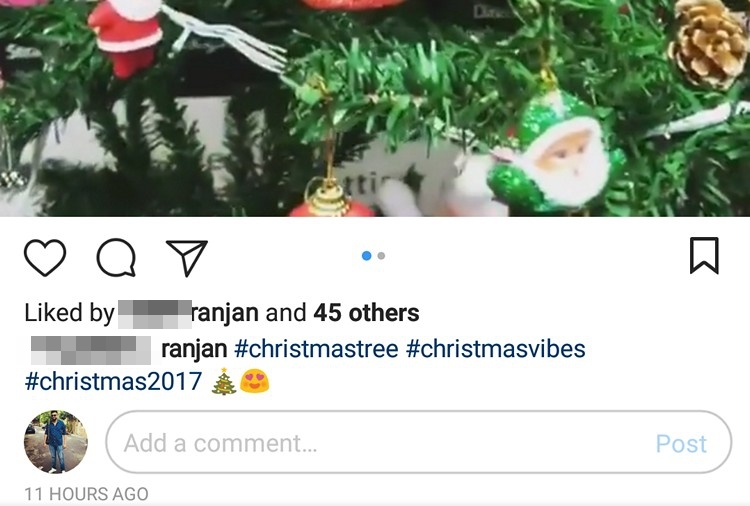 While this may be the final form of inline comments (where they’ll pop-up after a certain duration), Instagram was testing a static inline comment box that appeared underneath each post in the feed. It did show up on one of our devices before we updated the app to the latest version. Note: We tried it on a bunch of different devices and found that it was visible on iPhone 7 (running stable v27.0) and Redmi Note 3 (running alpha v28.0.0.0.8) but not on our Mi A1 (running stable v27.0.0.11.97). This is a great feature addition to the platform and seems to have been designed with the primary aim of increasing engagement. The presence of an inline comment box on a post you’re interested in may increase the chances of you adding your two-cents to that photo or video in your feed. The inline comments box is now showing up in the algorithmic Instagram feed for many of us, here at Beebom. But, the rollout seems to be phased as some of us aren’t seeing these inline comments at the moment. This is due to a server-side change and Instagram is likely to flip the switch for everyone in the coming days. If the inline comments feature has already arrived on your feed, then you’re one of the lucky ones who can easily converse without leaving the feed. But, if that isn’t the case then you could either wait for the feature to arrive or download a recently updated APK file from APKMirror. Comment down below and let us know if you’ve received the inline comments in the feed and whether you’re liking it or not.